It’s another Magic week as AP Jones celebrates its impressive 90 jubilee together with Magic 828 Music Radio. 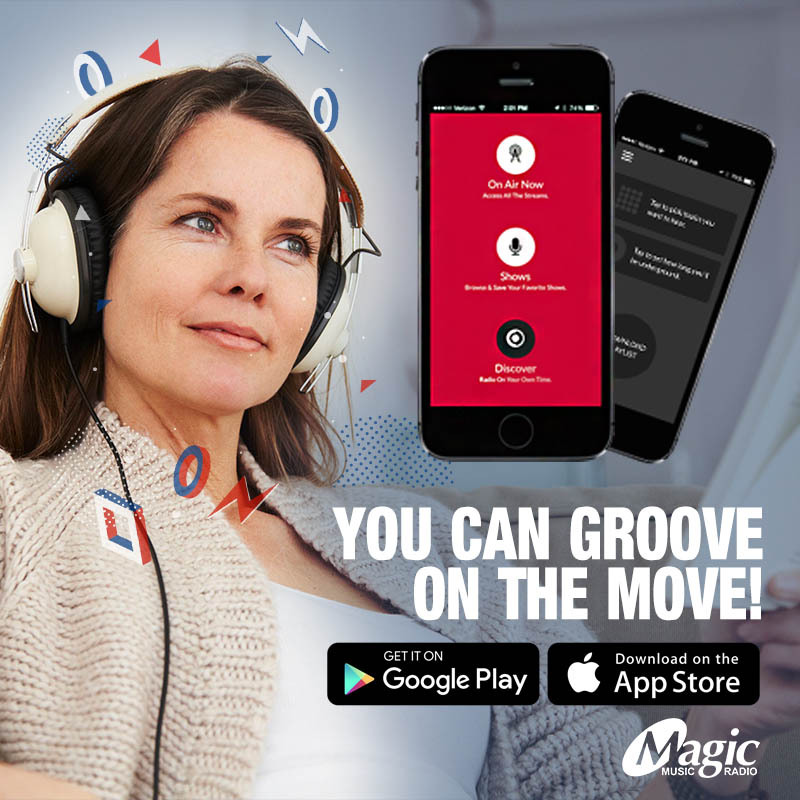 Win BIG with Magic, join in on the celebration with lucky draws, freebies and giveaways, while you shop to the beat of Magic’s more music weekend. 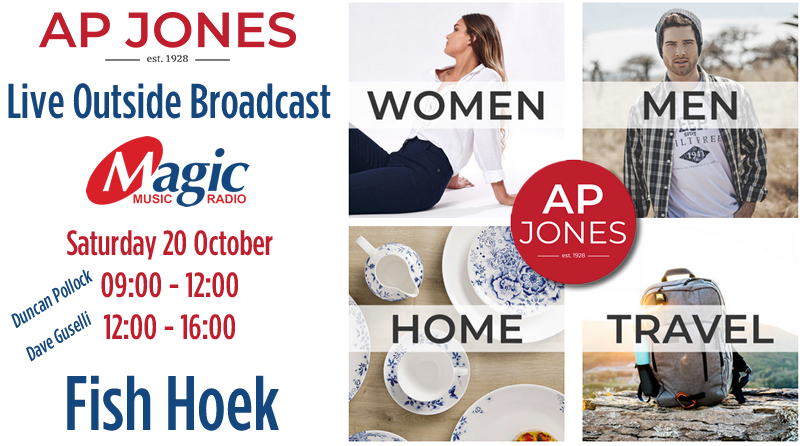 Listen to Magic 828 Music Radio all next week and stand a chance of winning your share of over R15 000 worth of quality branded merchandise from A.P Jones Fish Hoek. A.P Jones in Fish Hoek is a family department store with a bit of everything and great personalised service. They offer you the ideal shopping experience. Unlike many of the chain stores, AP Jones offers a full-size curve in many of their ranges of quality branded women’s and men’s clothing, and stocks home and travel ware to suit your daily lifestyle needs. Treat your friends and family to a gift voucher where they can pop into A.P Jones Fish Hoek and enjoy a shopping spree. With 90 years of experience, four generations of success and excellence in retail clothing, you’ll always find something special at A.P Jones. 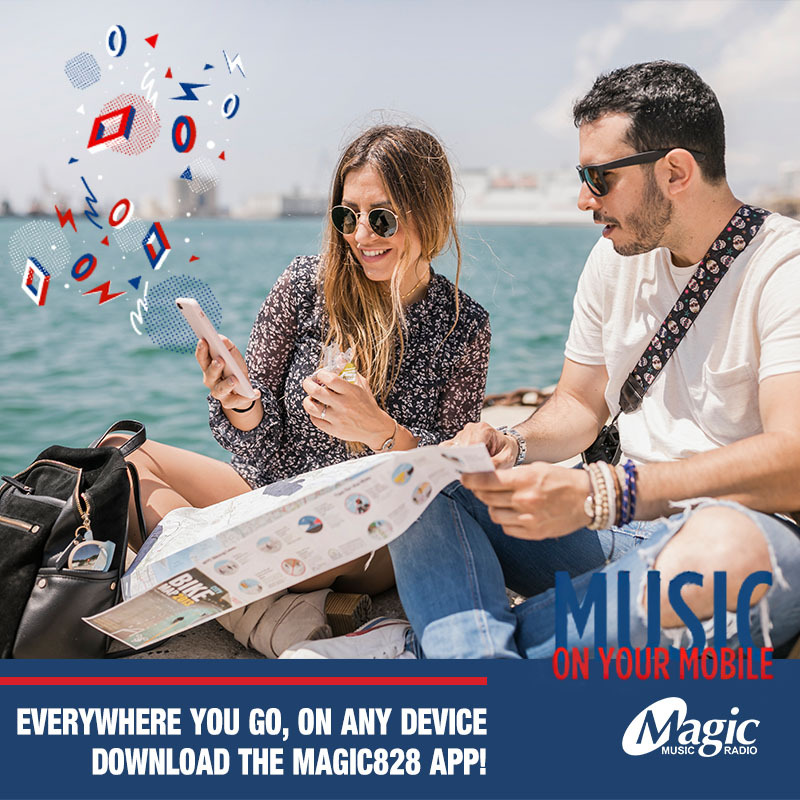 You stand a chance to win BIG by tuning into Magic 828 Music Radio all next week. 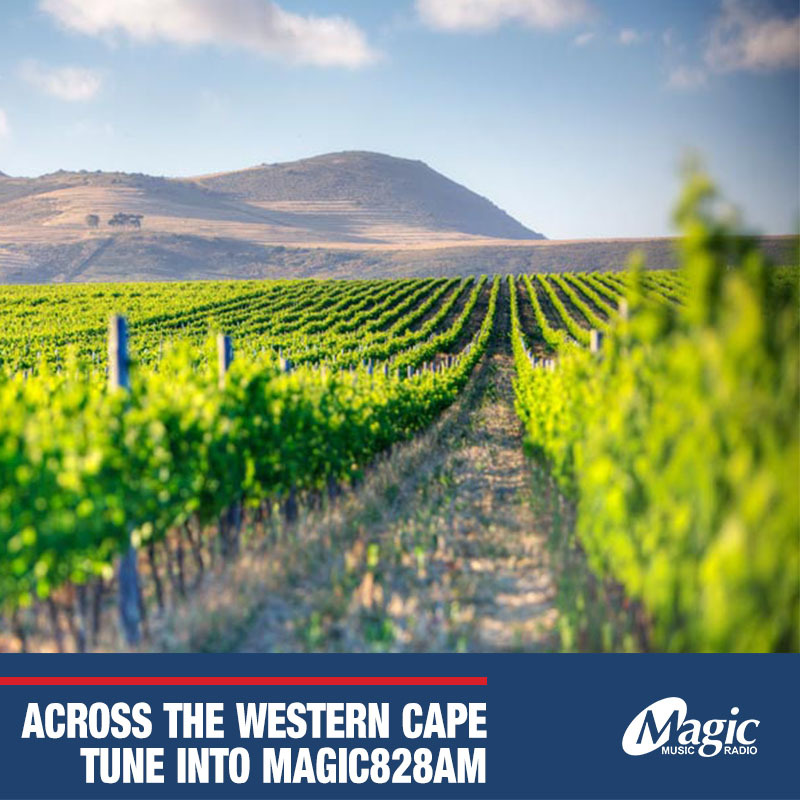 Listen out for the give-away questions through-out the day and WhatsApp your answers and the key phrase “AP Jones” to 084 8420 828. 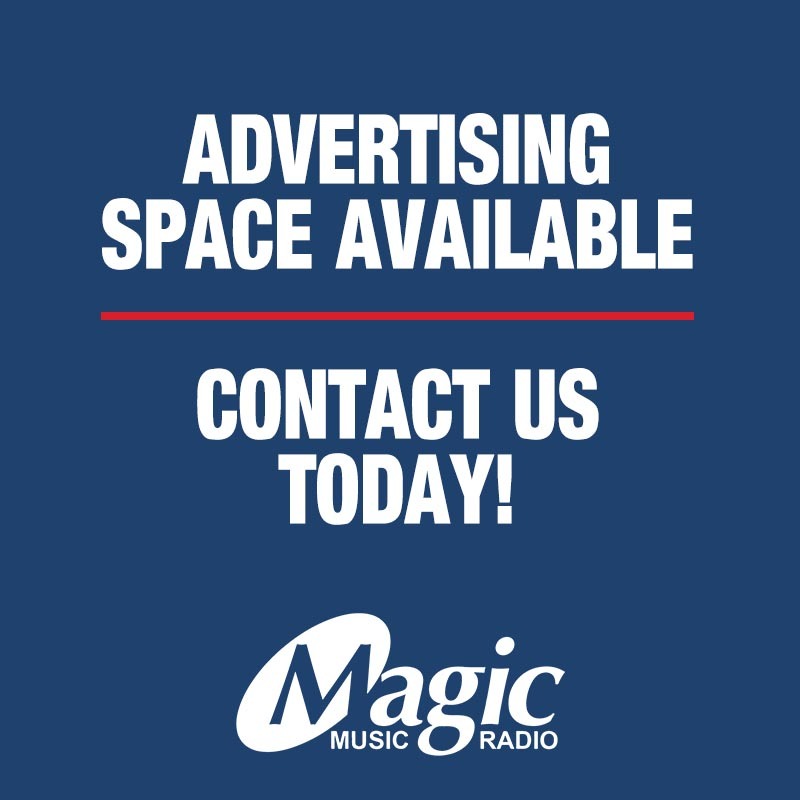 Make sure to keep your phone close by and we could be making you a winner with Magic and AP Jones. A.P Jones of Fish Hoek – Your one-stop family department store.